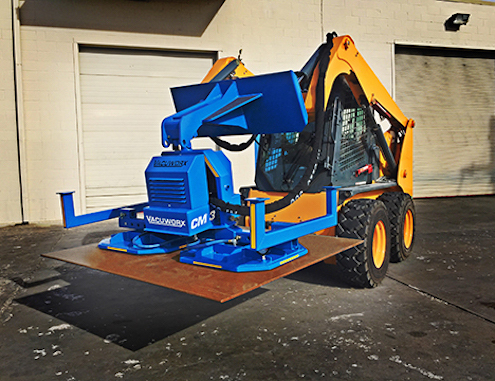 A new skid steer attachments from Vacuworx could bring lifting heavy materials to a level not seen before with the CM3 Compact Modular Vacuum Lifting System. This new attachment is easily adaptable to multiple applications and host machines. 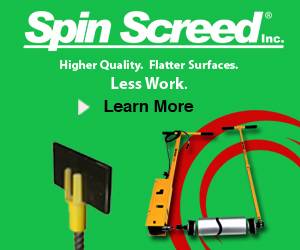 It could be the perfect attachment for contractors running compact equipment on the job every day, like handling concrete slabs, steel plates and pipe and more. The weight of the CM 3 compares to a standard skid steer bucket so the lift capacity of the host machine is not affected. 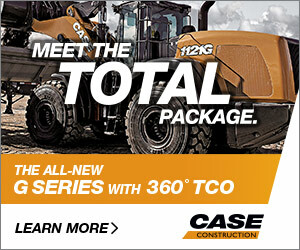 The CM 3 features quick-connect hydraulic hoses and factory pre-set flow control valve to ensure optimal performance on any host machine and can accommodate single or double pad configurations to lift a variety of material weights and sizes. It has an adjustable spreader bar for double pads extends from 61” to 85” (outside to outside of seal channel). The Vacuworx CM3 is compatible with small excavators and cranes using clevis hook connection and has removable legs for convenient storage. Visit www.vacuworx.com for more information.